Happy Friday, everyone! As most of you know, we're just coming back from a few weeks in Greece and our first-ever blog break. Our trip was amazing, but Josh and I still spent an embarrassing amount of time wondering if the dogs were missing us as much as we were missing them (they weren't) and watching old videos of them on our phones. Does anyone else do that when they're away from their pups? Anyway, it's good to be back. So much has happened around dog-internet in our little hiatus that it was tough to pick just ten Favorite Things this week, but here they are... our hit list of Fido finds we're loving. Pre-ordering this gorgeous (and natural!) pup shampoo. Dying over this dog maternity shoot. Loving the new designs from our friends at Neptune & Co. Read more about how they're helping dogs in need in our interview with them. Image courtesy of Neptune & Co.
Bookmarking The Betsy Hotel for our next Florida pupcation and thinking I definitely need to book their dog + owner massage package. #6 Did someone say treat? Discovering the amazing work Pearls for Pups is doing for rescue dogs. Check them out here. Channeling some serious '90s nostalgia and buying one of these adorable dog backpacks. Dying over all the dachshund puns in Faye Finney's adorable shop. Could her cards be any more perfect? 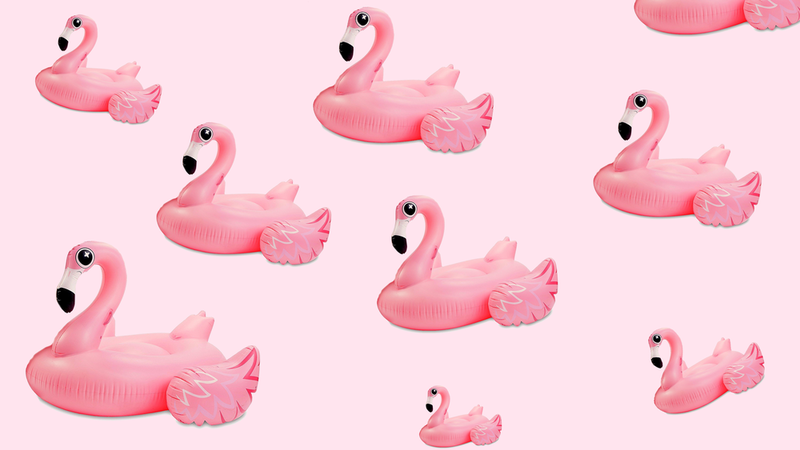 Reminding everyone to enter our flamingo float giveaway over on Instagram. We sometimes receive a small affiliate income for product links, but we only ever feature products we truly love.